Just in time for Presidents' Day and the 2020 election! 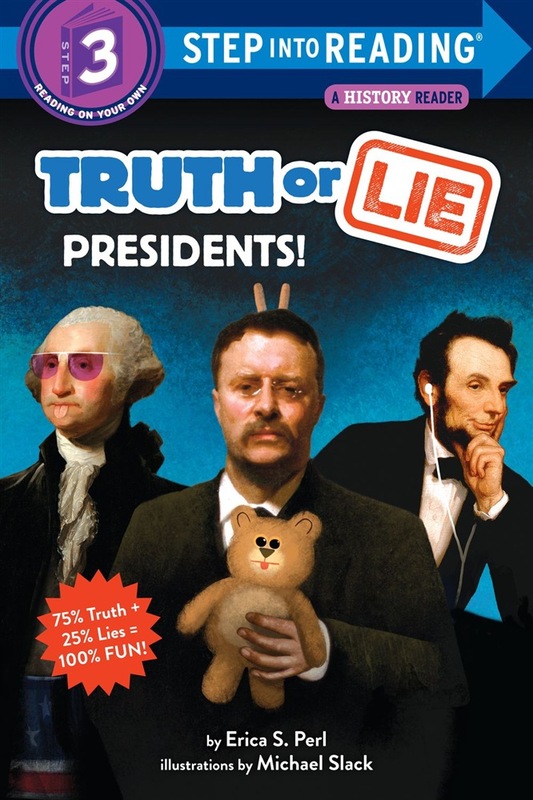 Proficient readers will enjoy hunting down the TRUTH about several of our U.S. presidents in this book, part of an innovative new series. President William Howard Taft, the twenty-seventh president of the United States, got stuck in the White House bathtub, right? That's a LIE! The TRUTH is, he never actually got stuck in the bath during his presidency, but he did go on to become a Supreme Court chief justice after his term. Though 100% fun, 25% of this engaging early reader is FALSE! In a unique question-and-answer format, proficient readers are quizzed about funny, interesting presidential trivia, to see if they can separate facts from "lies." Our mascot--the Truth Sleuth--guides readers through this entertaining and fact-packed Step 3 book, filled with historical photos and kid-appealing art and humor. Step 3 Readers feature engaging characters in easy-to-follow plots about popular topics for children who are ready to read on their own. Acquista Truth or Lie: Presidents! in Epub: dopo aver letto l’ebook Truth or Lie: Presidents! di Erica S. Perl ti invitiamo a lasciarci una Recensione qui sotto: sarà utile agli utenti che non abbiano ancora letto questo libro e che vogliano avere delle opinioni altrui. L’opinione su di un libro è molto soggettiva e per questo leggere eventuali recensioni negative non ci dovrà frenare dall’acquisto, anzi dovrà spingerci ad acquistare il libro in fretta per poter dire la nostra ed eventualmente smentire quanto commentato da altri, contribuendo ad arricchire più possibile i commenti e dare sempre più spunti di confronto al pubblico online.